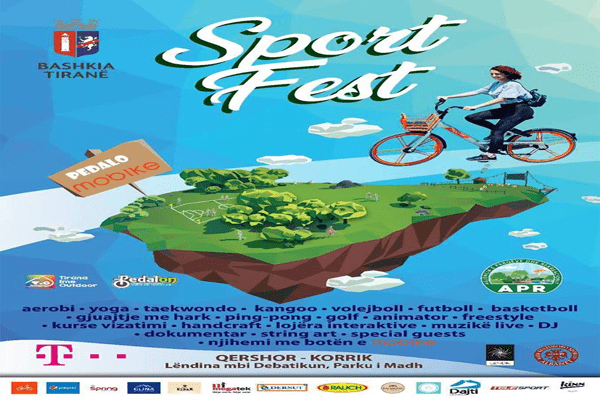 Agency of Parks and Recreation - Municipality of Tirana in cooperation with Mobike Albania and Telekom Albania, in the framework of active lifestyle projects organize the summer camp "Sport Fest". Sports, educational and cultural activities for children. Also, in the afternoon hours, s activities for young people with live music, DJs, string art, special guests, etc.